Rogue’s tale is one of triumph. For most of her mutant life, the X-Woman has struggled to control her remarkable yet devastating power: the absorption of a being’s life force, memories, or abilities through any physical touch. 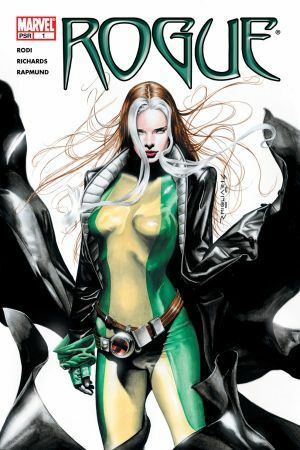 Although Rogue once rolled with the “Brotherhood of Mutants”, now she’s a leading Avenger. She’s overcome a lonely, criminal past with humor and a hairpin trigger. 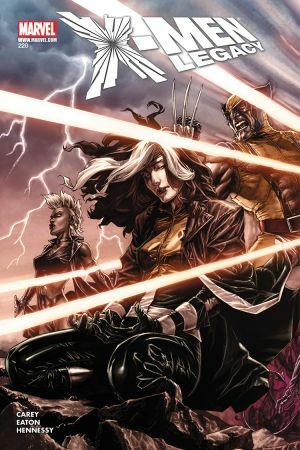 Blockbuster writer Charles Soule assembles a disparate crew of mutants…all with some messy, shared history! 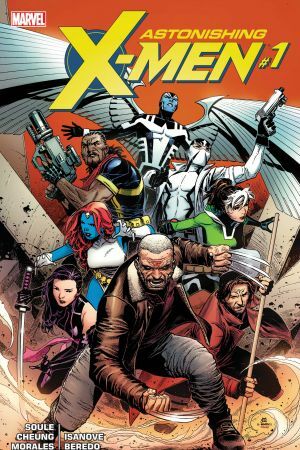 Rogue joins Psylocke, Old Man Logan, Bishop, Archangel, Fantomex and Gambit, to eliminate a psychic threat that’s enveloping London. And once Mystique pitches in, things get really interesting! Rogue’s easy confidence serves her well as the Unity Squad’s field leader! This time out, the team opens its doors to Inhuman members, plus…Deadpool?! Backed by some famously formidable females, Rogue joins Storm’s all-ladies roster in the wake of an alien invasion that threatens all life on Earth! Who thought the small town wild child would become one of Earth’s Mightiest? 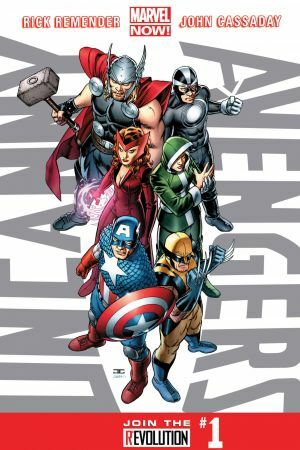 Rogue accepts an offer from Captain America to join his Unity Squad – an assembly of super humans and mutants. First mission? 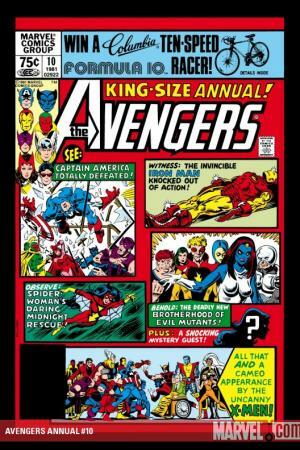 Combating the Red Skull’s anti-mutant hysteria…fueled by a psychic attack from Professor X’s disembodied brain! Professor Xavier’s psi-scan on a comatose Ms. Marvel reveals the assailant who nearly claimed her life (after draining her Kree powers). Now permanently blessed with flight, invulnerability, and Hulk-like strength, Rogue gives the Avengers a serious thrashing. The brash mutant also shows off her sassy streak – she plants a kiss on “poor li’l Cap” just to zap that Super Soldier strength! A recovered Carol Danvers aids the X-Men in their takedown of Rogue and her shape-shifting mother. 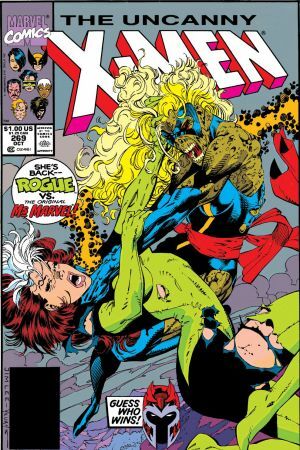 Rogue recklessly tears through Storm, Nightcrawler, and even Wolverine (after a harmless ole kiss)! 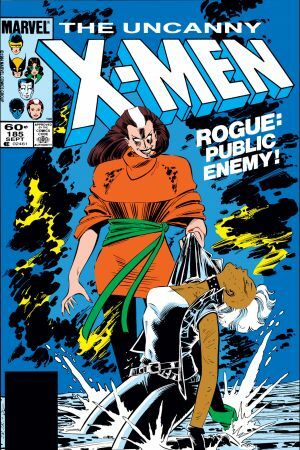 Although she’s having fun here, Rogue’s absorption of Danver’s psyche would leave her fragmented and guilt-ridden for life. 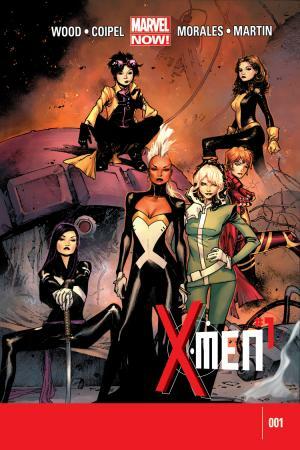 Tired of being wrung dry by Mystique, Rogue turns to the X-Men…for help!? The young woman’s abilities are now entirely out of her control and a mental break is imminent. Professor Xavier agrees to provide training, but Rogue’s ‘bad girl’ rep gives the other X-Men pause. Relapsing into insanity and targeted by the Pentagon, Rogue bolts from the X-Mansion to escape her painful lot. Despite her own reservations, Storm tracks down the runaway, convincing Rogue of her heroic potential. In one whirlwind issue, Rogue: gets some bad news concerning Mystique and Destiny, thwarts an attack by Ms. Marvel, and ends up ‘porting to the Savage Land (courtesy of Gateway)! 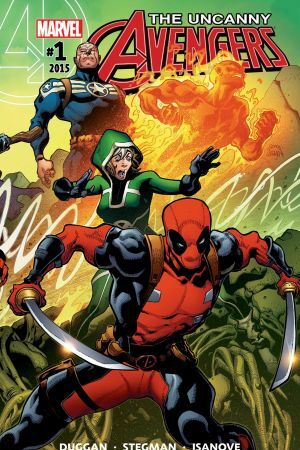 Without her mutant abilities, Rogue relies on scrappiness alone to survive the prehistoric jungles. Read #274 to see first sparks fly between her and Magneto! 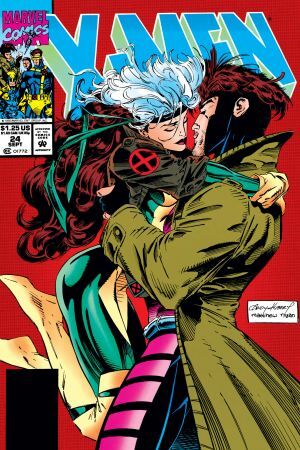 The chemical attraction between Rogue and Gambit was palpable from the beginning (OK, more so on the Cajun’s end). Both orphans, both from the Bayou, both formerly delinquent, their pairing was kismet. 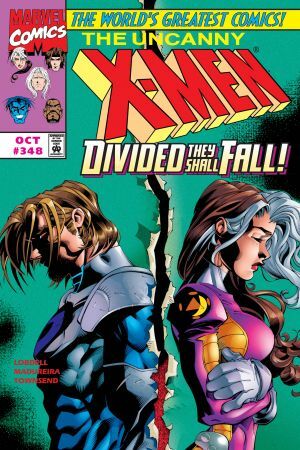 But Rogue’s physical limitations kept her walls up, and Remy’s colorful past wasn’t up for discussion. Read through #8 for the classic “picnic issue”, i.e. when Bishop proves he’s the worst. Third wheel. Ever. At last! Rogue and her ‘Shugah’ (that’s Remy) finally get their date night! Over gumbo and candlelight, two embattled X-Men become two people in love. 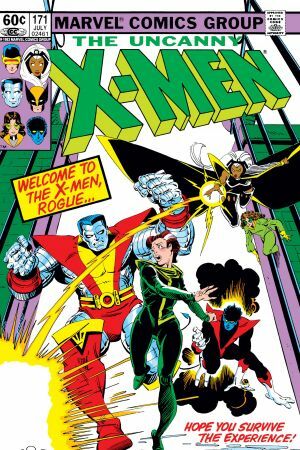 Witness Rogue’s first meeting with Mystique and learn about her unique relationship with adoptive brother, Nightcrawler! Plus, a glimpse at the spitfire at the onset of her mutant powers! Rogue returns to her native Mississippi to visit Cody Robbins, the boy she accidentally put in a coma when her powers first arose. 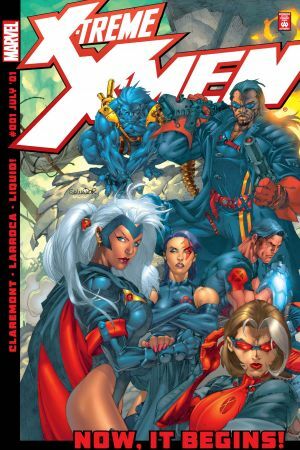 While there, Rogue captures the attention of the New Orleans Assassins Guild, led by Gambit’s bitter ex-wife, Bella Donna! Guess this means our girl’s gotta pull Remy’s ‘fat from the fire’ too! 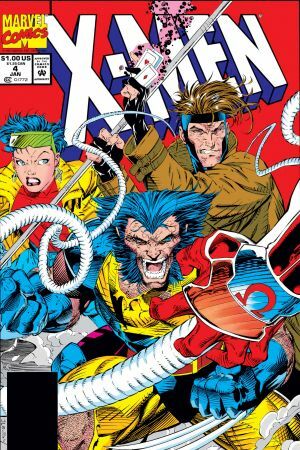 Captives at an Antarctic base by an infantilizing cyborg who once took care of a de-aged Magneto, Rogue and Gambit have their backs against the wall to “Nanny”. Despite Gambit’s shady memories rattling in Rogue’s head, the now-powerless duo seize the moment to express their love fully…but a mere two issues later Gambit’s extraordinary misdeeds come to light. 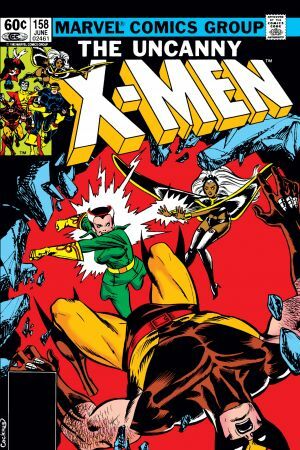 Veteran X-Men assemble in this globe-hopping series by writer Chris Claremont. Storm and company attempt to quell the tide of mutant hatred through outreach. This run would nearly claim Rogue (and Gambit) of their lives, but the upside comes when the couple loses their powers and finally try out civilian life. 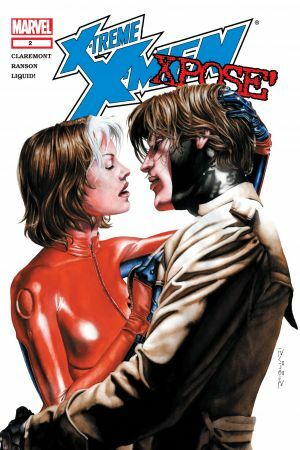 This ‘slice of life’ issue makes our list because it beautifully encapsulates Rogue and Gambit. The trouble-prone couple enters a bar…and a team of investigative journalists follows. 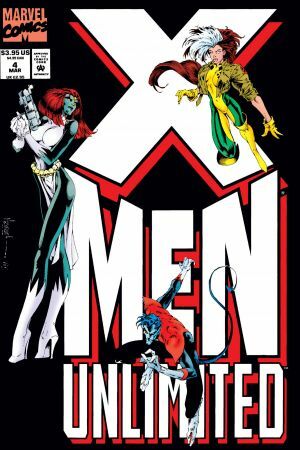 For 20 years, her true name was unknown to readers – then this series came along and peeled back the curtains on Rogue’s down-home roots! Take a trip through “Anna Marie’s” carefully guarded past, from her true parentage to her adoption by Mystique and Destiny. Looking to fall in love with Rogue? Start here and read through #275 for a starring turn that redefines the character. 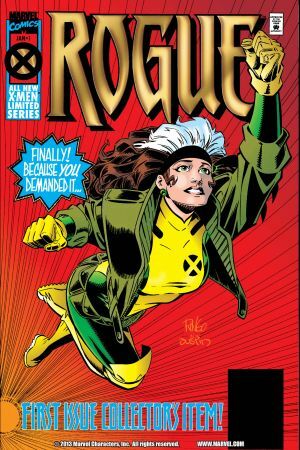 Over the course of 50+ issues, Rogue: gains control of her touch, rises in rank as an X-leader, juggles romance with Magneto AND Gambit, confronts Carol Danvers, and reaches the pinnacle of her strength. If you read no other comic on this list, at least check out this gorgeously moving run!